I created Zo Around The World back in April 2016, as a fun way to write about my travels so that I would never forget all the amazing places I have travelled to, as well as to help and inspire others who want to travel there too. I decided my blog niche would combine 2 of my favourite elements of travel – budget travel and off the beaten track travel. By the end of the summer, my blog had developed into more than just a fun hobby. More and more people were actually reading and following my blog. This blog is now a really important, as well as fun, part of my life. In November I was over the moon to receive my second blogging award – The Versatile Blogger Award. This award, similar to the Liebster Award, is an award given to bloggers by bloggers as a fun way to discover new blogs. Firstly, I would like to thank Melissa for nominating me on her blog Parenthood & Passports. Melissa and Damon are first-time parents who travel with their adorable little daughter Avery, pretty inspirational! 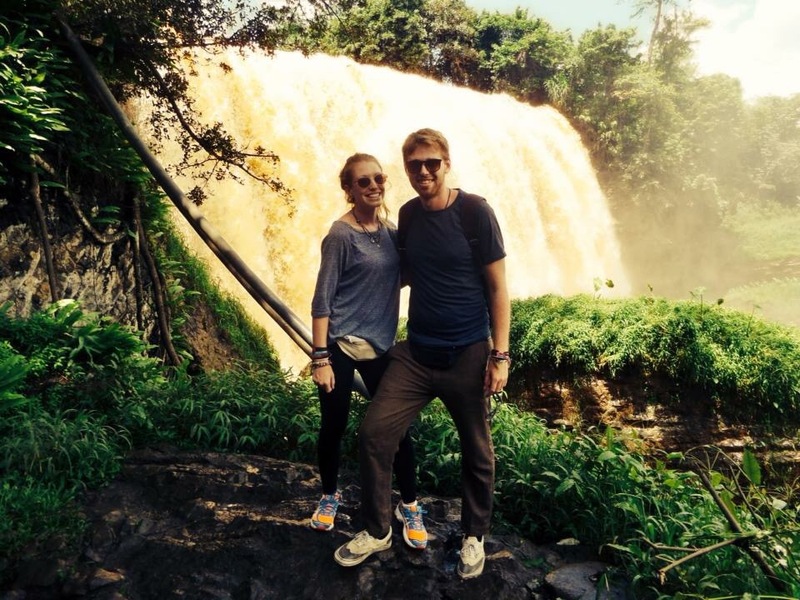 Melissa writes beautifully about her family’s adventures and semi-nomadic life. A few weeks later I then received a message saying that I had been nominated again for the Versatile Blogger Award! This time from the lovely Mandy of mandytsingh.com. Mandy always says yes to adventure and is a travel enthusiast with an inspirational blog, full of fun things to read. Check out her blog for some great reading on all things travel and lifestyle. 1. I’m a bit of a Geography nerd. Okay so I love Geography. I have a Bachelor of Science degree in Geography from The University of Chester and it was great being able to study a subject I am passionate about. But still to do this day, I love Geography. I’m always reading books about travel, the world, and studying maps! I am obsessed with maps! 2. I used to be a really fussy eater. Before I travelled long term, I was such a fussy eater. I wouldn’t eat egg, I had never drank coffee and I wouldn’t eat anything green! It took about 6 months of travelling long term to discover that one of the best things about travel is trying and falling in love with new types of food and now, one of my favourite things about travel is definitely trying new food. Out of everywhere I have travelled to, Malaysian food is my favourite! An amazing meal in Penang, Malaysia. 3. Shaun and I met at Marks & Sparks! So I met my boyfriend Shaun at our first job after university, over 4 years ago now, at the department store Marks & Spencer… Shaun asked me to go to McDonald’s with him after work, and from then it all began! We will be visiting Morocco in early 2017. I have been planning our DIY route around Morocco for the last few weeks and I’m mega excited! I’m familiar with arranging hotel pick-ups, but to get to our guest house in the Atlas Mountains this is the first time I have ever arranged pick-up by mule! I also can’t wait to experience 3 days of complete remoteness in the Sahara desert. Family are so important to me. The worst thing about travelling long term is leaving them behind. One of my favourite ever memories is running up to my sister Amy at the airport when I returned home after 1 year of travel. 6. I work for a property company in London. For the last year and 10 months, Shaun and I have been living and working in London. As well as running this travel blog in most of my spare time, I also work 5 days a week as a team administrator at a commercial property company, which I really enjoy! 7. India is my favourite travel destination. So a lot of people already know this. But I’ve actually been planning my next visit to India ever since I left. My ideas range from staying in an Ashram to practice yoga and meditation, to spending time volunteering with disadvantaged women and children and helping increase female empowerment. I have lots planned for my future visits to India, watch this space! Me travelling in Delhi, India. ‘Live life by a compas, not by a clock’ – Tatum is a 26 year old thrill seeker from Southern U.S, the main aim of her blog is to ‘take the fluff out of travel blogs’ and I love her unique and amusing style of writing. Check out her blog for inspiration on how to not settle for a mediocre life! Marissa is a travel blogger based in Washington DC who loves new experiences and photography and is fortunate to travel a lot with her job. Check out Marissa’s blog for some great travel reading and beautiful photography. I especially loved reading her posts about Argentina! ‘The adventures of an oddball traveller’ – Alice loves discovering places that are odd and unusual, she also has a paranormal obsession and loves anything spooky! Check out her blog for some really interesting and quirky blog posts. Tom and Katherine are from Australia and have been travelling around the world on and off since 2007. They love travel but they also love their jobs and life back home, they have a really great section on their blog about taking career breaks! Sarah is a blogger from the beautiful Bantayan island in the Philiphenes who juggles a life of work and travel. Check out Sarah’s blog for some great reading about off-the-beaten-track places, backpacker life, touristy things as well as destinations with a slice of luxury. Bonita is a travel writer and photographer constantly searching for exciting destinations. To Bonita, home is wherever she spends the night, check out her blog for tons of great posts and some beautiful photography! Tracy is a teacher, traveller and blogger and has visited an impressive 40+ countries! Like me, she loves train travel and she has a great section on her blog about train travel. Check out her blog for some great reading on nearly 4 decades of travel. Raksha is an Indian girl who lives to travel. She has travelled to 21 countries and her mantra is ‘I read, I travel, I become’. Her travel blog showcases her experiences and photographs taken along the way, I especially love all her posts about India! Well done Zoe and yet again you continue to amaze and impress me with your desire and love for travel and your lovely stories that have gained you another well deserved award. Thanks so much again for the nomination, I look foward to seeing what 2017 brings for your blog! Thank you for the nomination Zoe. I love your blog and I wish you the best in the coming year!! Keep shining and posting. Well done Zoe for the award, really enjoy the blog, keep up the good work!! Pick up by mule… I haven’t lived yet!